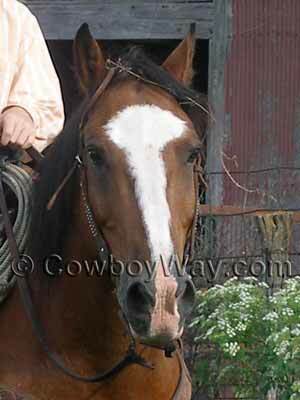 Face markings on horses are described and shown in photos below. Are usually white in color. Can run together in combinations, or appear in separated combinations. 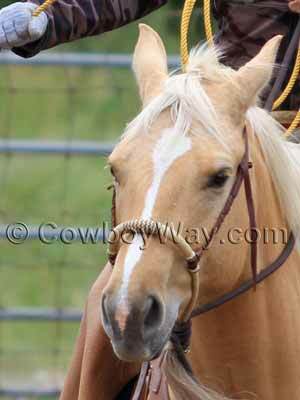 For example, a horse can have a star and a strip that run together, or a star and a strip that don't touch. 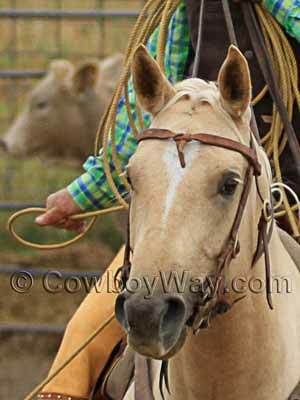 Not everyone agrees on what certain face markings should be called, and describing face markings is sometimes the cause of disagreement among horse people. 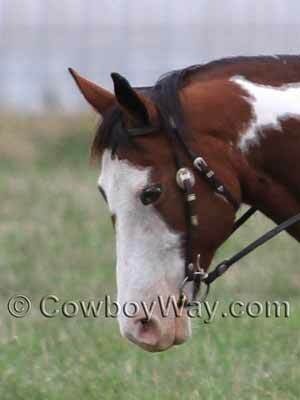 While the descriptions on this page can be considered reliable, it is very important that if you are registering a horse that you consult with the registering organization for their definitions of facial markings. Definitions can differ from one organization to another, and may be different than the descriptions we've used here. 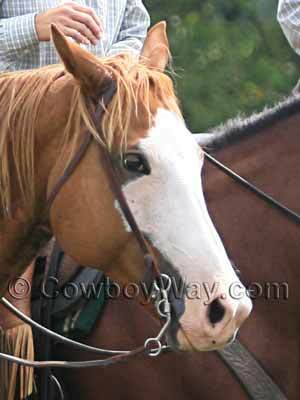 No Markings / Minimal Markings - "No markings" means there are no white hairs present in the shape of a marking on the face. "Minimal markings" means there are so few white hairs present that they are difficult to discern as a distinct marking. 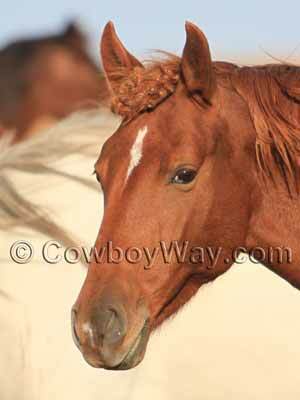 Below: A sorrel horse without any face markings. 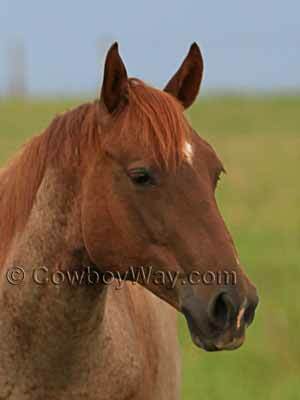 Below: A chestnut horse without any face markings. Bald Face - A bald face is a very broad blaze that, for all or part of its length, extends to or past the inside corner of one or both eyes. A bald face typically is also a long marking running from the top of the face down to the nostrils, and often includes the nostrils. 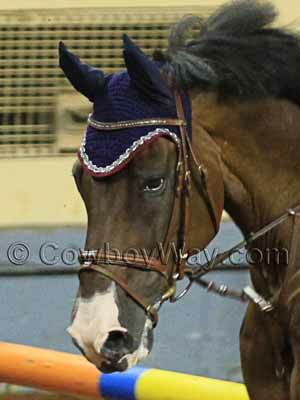 An especially wide bald face is sometimes called an apron face. 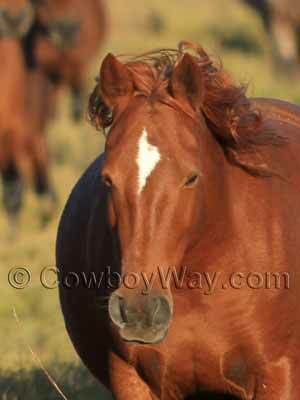 Below: A bald faced horse. 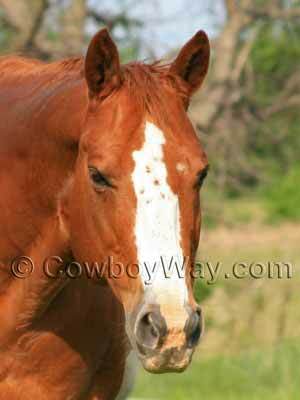 Blaze - A blaze is a medium to wide white marking that runs for all or most of the length of the horse's face. They are usually even in width, or close to it, from top to bottom. If a blaze is oddly shaped it may be called an "irregular" blaze. 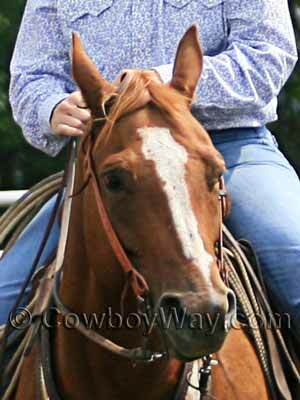 Below: A good example of a blaze. 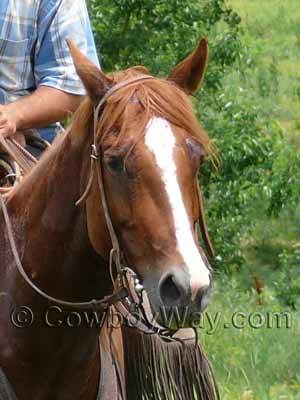 Below: A blaze on a bay horse..
Below: A blaze on a sorrel horse. Below: This blaze is not quite as long as the ones shown above, but it is still a common type of blaze. 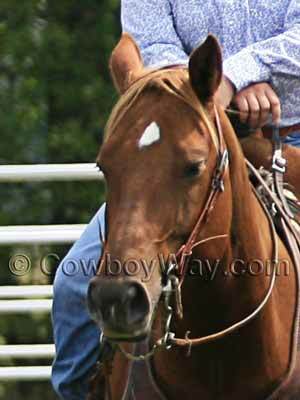 Snip - A snip is a white or flesh colored marking between the nostrils. The pink skin beneath the hair of the snip is often easily seen. 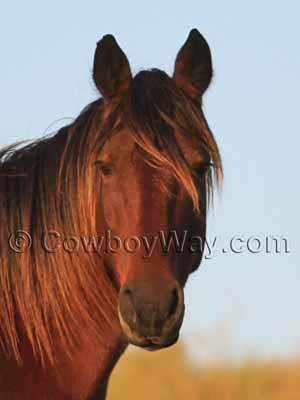 According to some breed registries snips can run together with other markings, but other breed registries only call a snip a snip if it is disconnected from other markings. 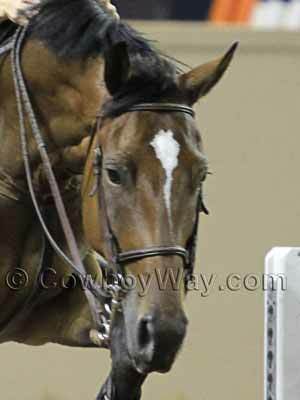 Below: This horse has a star, a very short, thin, strip (barely visible), and a small snip. Below: An elongated star and a small snip. 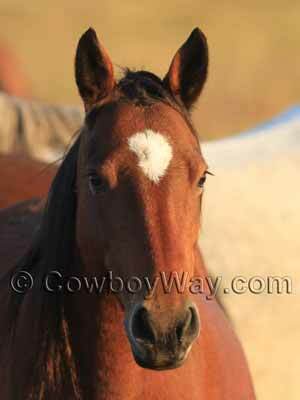 Star - A star is a white marking on the forehead, usually defined as between or above the eyes. Stars can be large or small, and can come in any shape: Round, oval, crescent, half-moon, heart, or in any variety of irregular or hard to describe shapes. 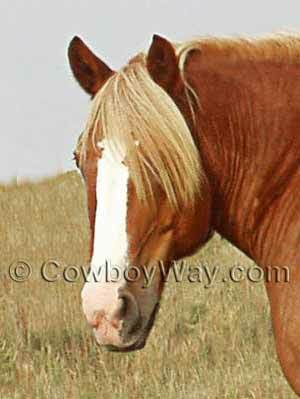 Strip / Stripe - A strip is a vertical white marking below the forehead and above the nostrils. It is very narrow compared to a blaze. 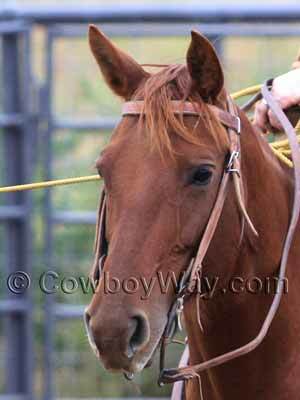 A strip may run for all or only part of the length of the horse's face. A strip is also sometimes called a stripe. If a strip is not straight but is instead crooked or wavy, it may be called a "race." Below: A connected star and strip. Below: Another connected star and strip. Below: A connected star, strip, and snip.